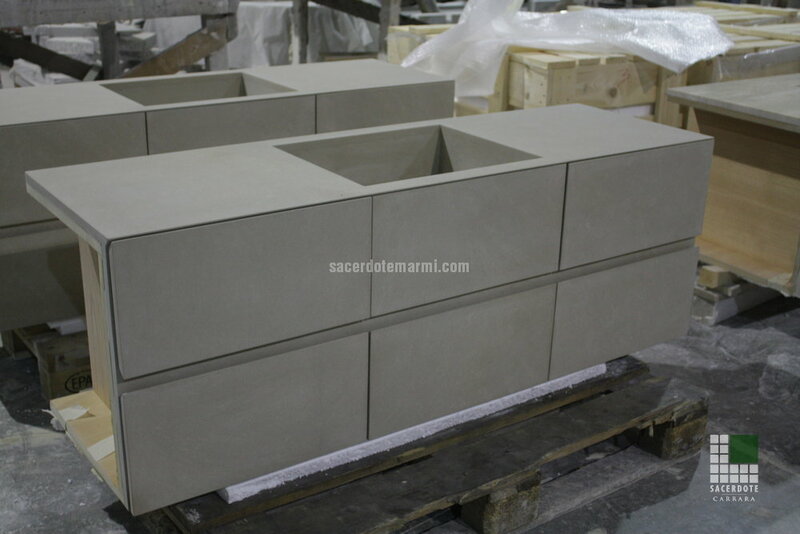 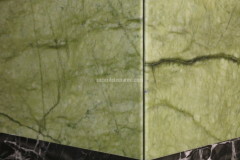 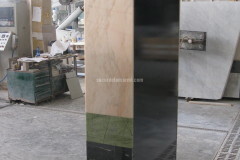 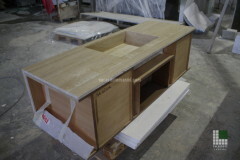 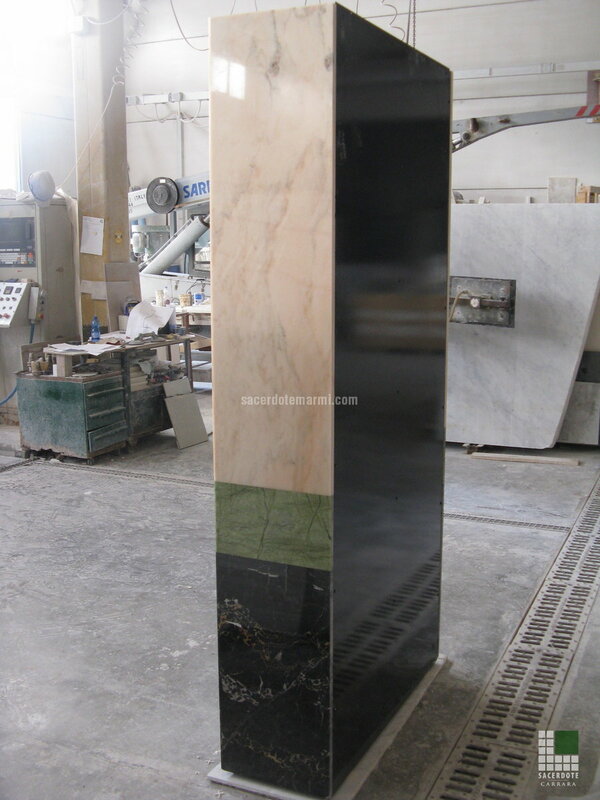 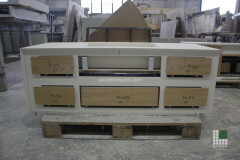 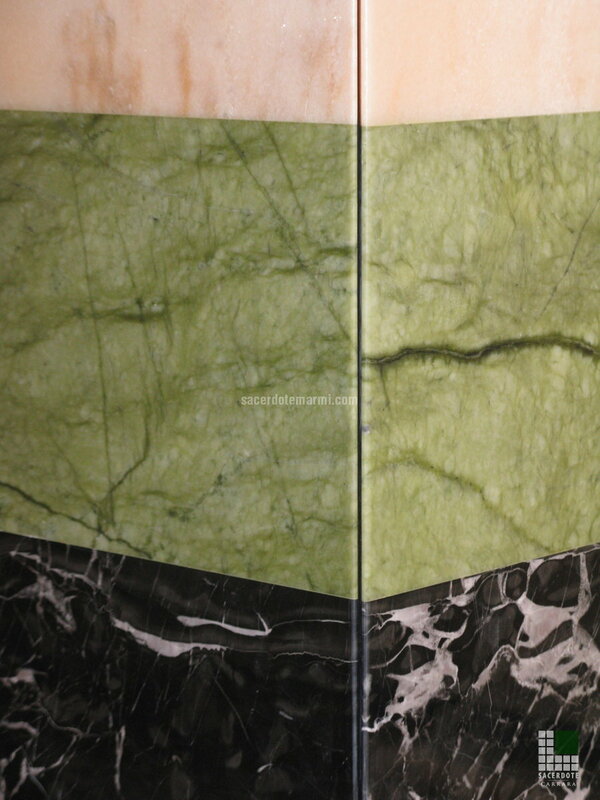 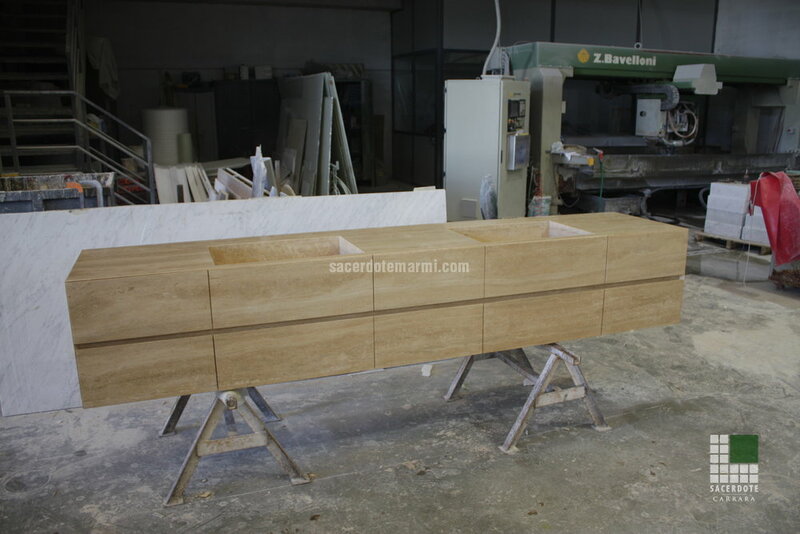 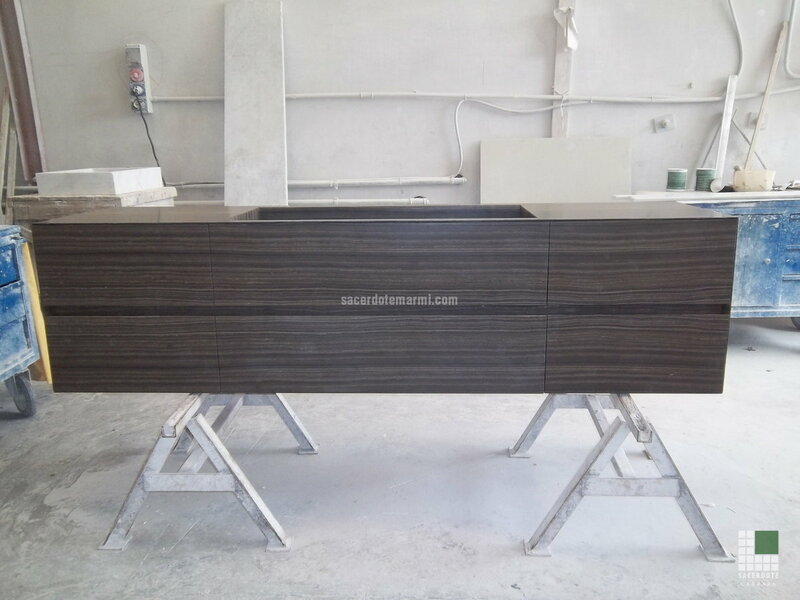 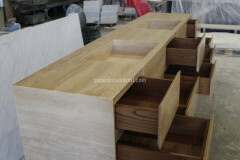 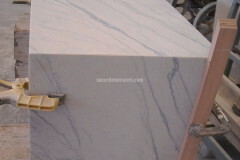 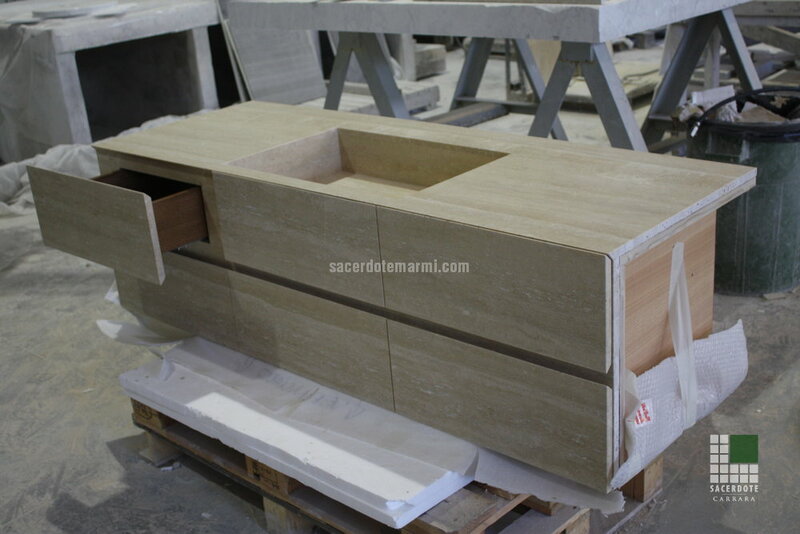 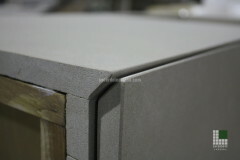 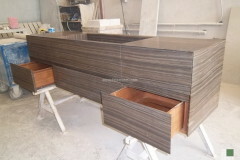 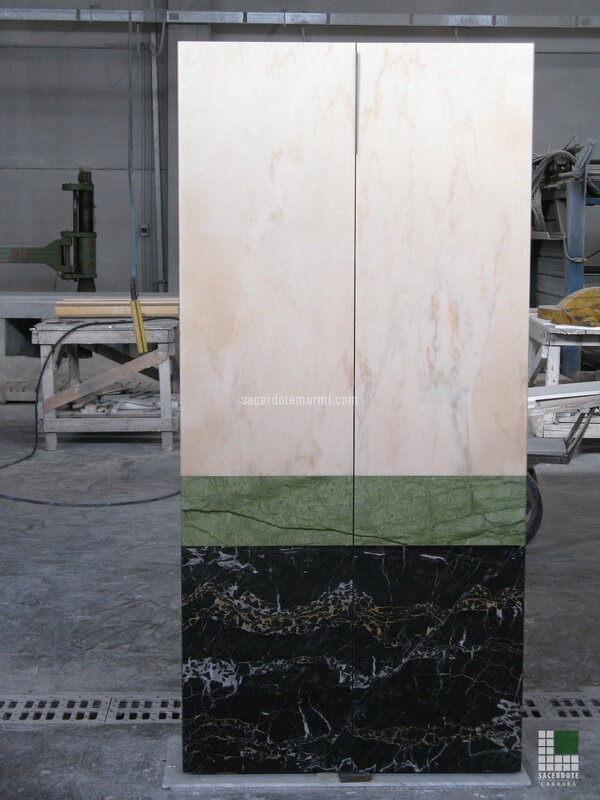 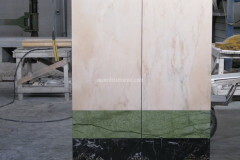 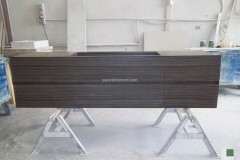 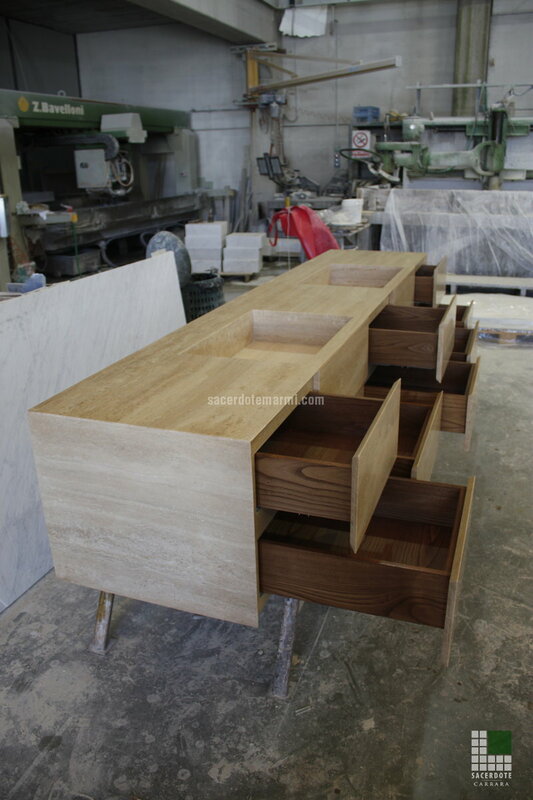 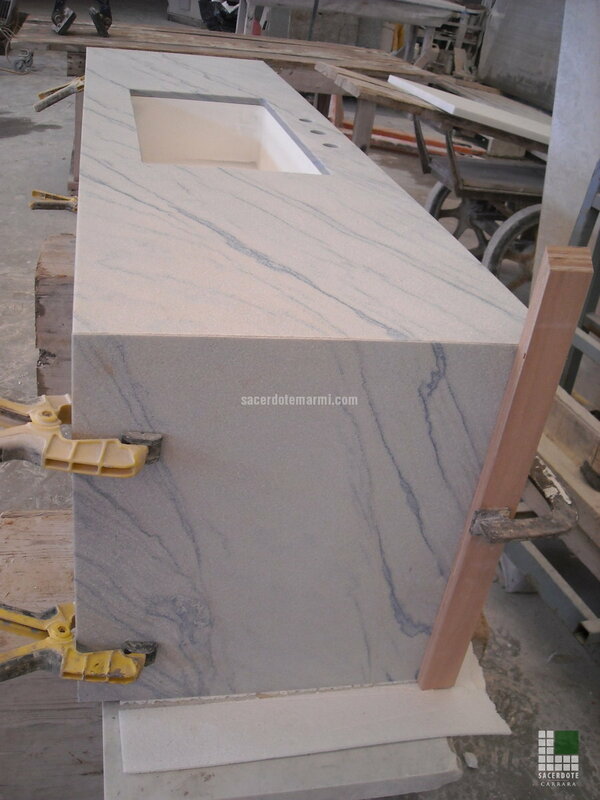 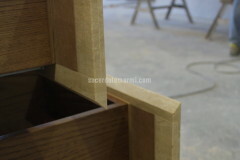 Over the years our Company has specialised in the production of marble furniture, that is to say the realisation of a lightweight marble (or, if required, a traditional marble) panelling, placed onto a wood or metal structure, whose final aesthetic effect resembles that of a monolithic stone piece. 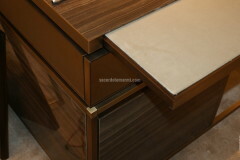 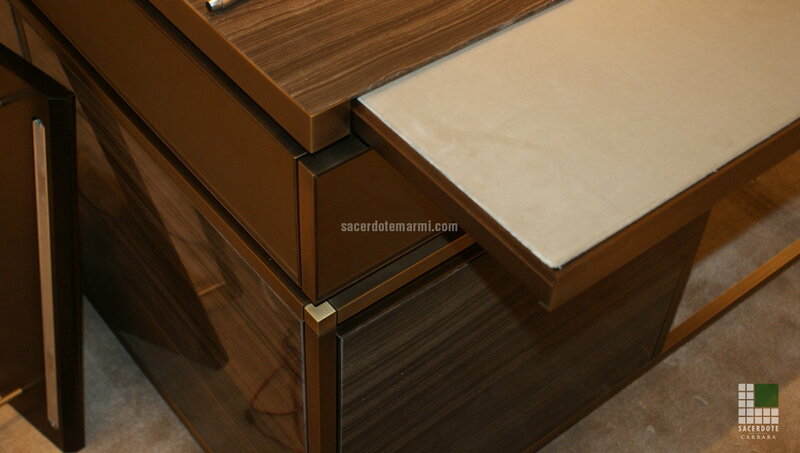 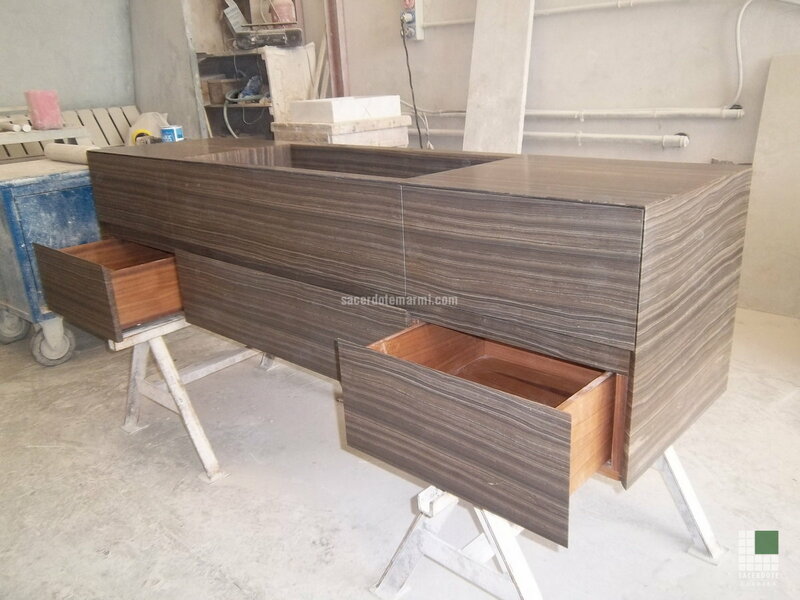 This kind of furniture is perfectly functional, it has shutters and drawers, and its employment in the bathrooms, for example, can integrate with the other furniture pieces and washbasins, creating refined aesthetic solutions and saving space. 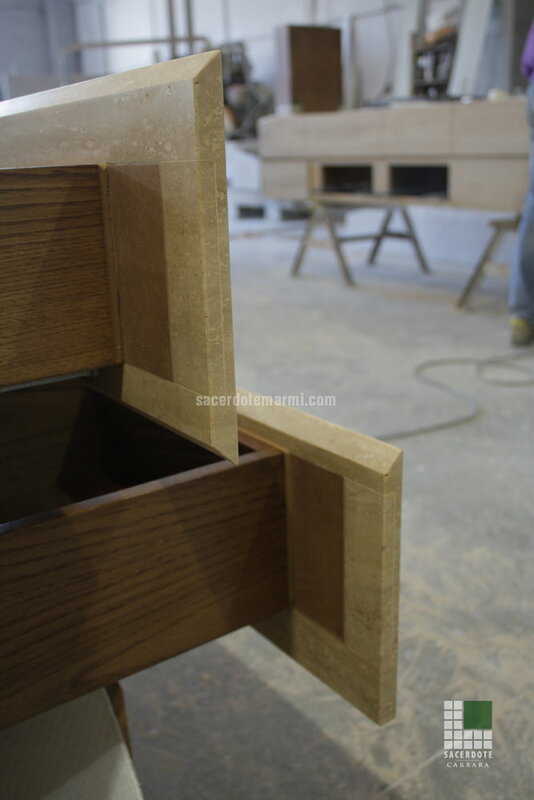 As everyone can guess, to realise this kind of products, design skills and accurate quality processings are required: thanks to the expertise acquired over the years we can guarantee all this to you.